MKR1000 does not have the SoftwareSerial, Pixie should communicate with hardware serial. So I need to use TX pin. And also there was a different way to declare ‘Serial’. MKR1000 has two Serial Hardware UARTs. So they are declared Serial1. Serial is attached directly to the USB port not to any pins. GPIO pins 13 and 14 are Serial1. General Purpose Input and Output (GPIO): Most pins on a micro-controller can operate as either a digital input or digital output. 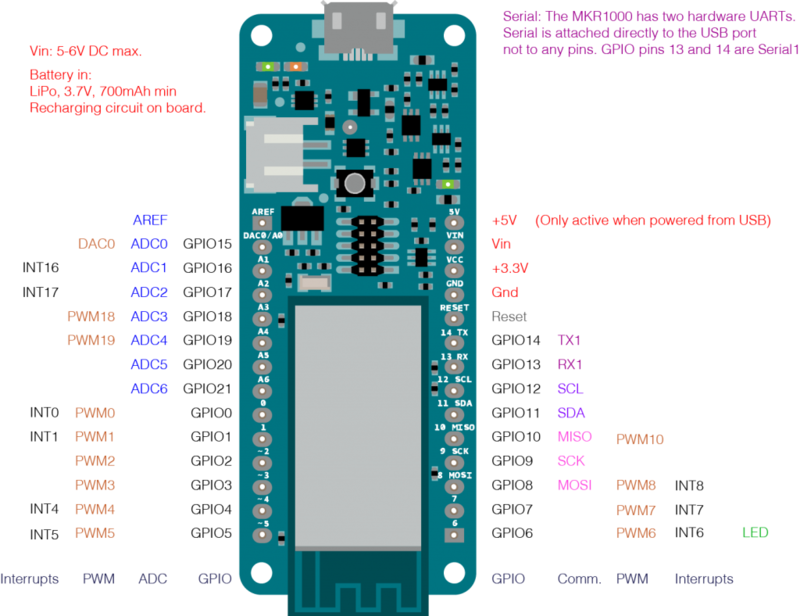 Universal Asynchronous Receiver/Transmitter (UART): Asynchronous serial communication is managed by a Universal Asynchronous Receiver/Transmitter, or UART, inside the processor. 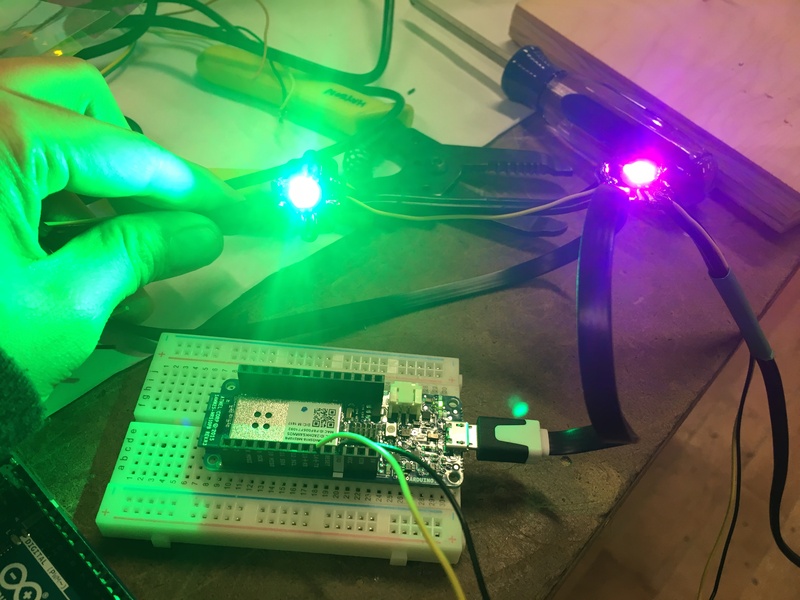 The UART pins are usually attached to internal hardware interrupts that can interrupt the program flow when new serial data arrives, so you never miss a byte. It’s possible to manage serial communication in software alone, but at high speeds, you’ll see more errors.